It was in Valls, a great historical city lying in the broad field of Tarragona, where MARÍA GÜEL Y PUIG was born on 24 June 1848. At home, her parents Francisco Güell and Antonia Puig kept the typical virtues of a deeply Christian family: the love for God, the family peace and a working life. They were simple peasants but true Christians whose irreproachable habits were the best basis for María Güel’s piety. What happy children are those whom the Lord grants deeply Christian parents! All that happiness filled María Güell. God first made use of her parents to bring her up according to a real Christian life. Shortly after his birth, she received the grace of the Baptism, alacrity with which God wanted to purify his soul. She received the Sacrament of Confirmation few months after her birth. 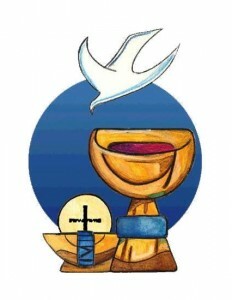 That is the Sacrament which prepares the Christian to take part in the ministry of the Church and strengthens him to keep his faith on course. She barely had reached the reasoning age when she approached the Sacrament of Penance and Reconciliation then, she was admitted to Sacrament of Eucharist, given the precociousness of her piety. María Güell had listened to the God’s Word in the catechetical education received at San Roque de Valls School. She loved our Lady so much. María Güell herself spread the love for the Mother of God when she fervently prayed the Rosary and the Angelus in the dressmaking shop and encouraged her colleagues to visit the Virgin of the Candela, patron saint of Valls. Some years passed and she wanted to devote herself to the Lord. At last, God showed her the way: A Nun of Charity. The Hospital of Cervera in Lleida (Spain), belonging to Solsona’s Diocese, was the religious community dedicated to charity where she joined in on 24 April 1872. 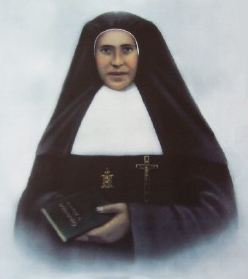 In 1884, Mother María Güell was nominated the mother superior of her community, a position he held without interruption until 1899. Having undergone some tests and being animated by the Holy Spirit throughout all these years, she conceived a longer-range project: to turn her community into a religious institute that would broadly cover the exercise of charity beyond the limits of that Hospital. Her yearnings for generous and universal charity were taking shape with the light and the strength of the Spirit, until they became the work of the Institute she finally managed to set up on 14 September 1899. Her sanctity of life, which was very obvious to those who had known her, made it possible to open the process for the Mother Maria Güell’s Cause in 1952, after some people had received special graces from God, through her intercession. 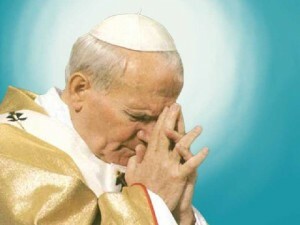 On April 1998, she was proclaimed Venerable by Pope John Paul II. Although she began her work taking care of the sick both in hospitals and watching over them at homes, the charisma she bequeathed to her daughters, the Missionary Daughters of the Heart of Mary includes all kinds of ministries where charity is practised in simplicity and humility. “The Charisma of the Institute, inherited from the Mother Founder and recognised by the Church, is the following of Jesus Christ on the path of the Evangelical counsels, living the Gospel in the exercise of charity with modesty and humility, in the light and example of the Virgin Mary, so plain and humble of Heart”.